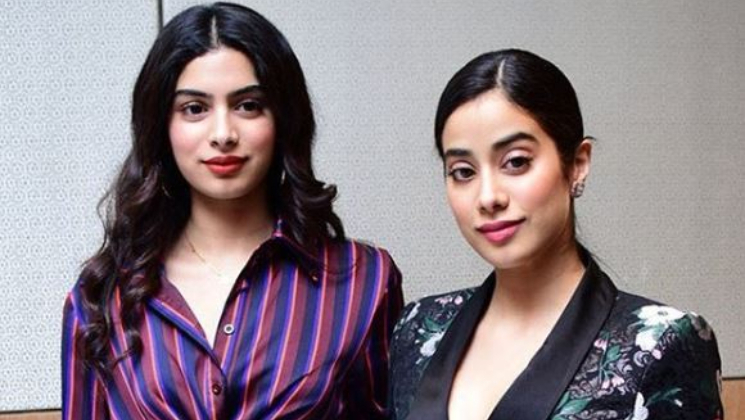 Janhvi and Khushi Kapoor‘s bonding as sisters are an example for all the sisters out there. The sister duo have been with each other through thick and thin. From hanging out together to making appearances at events or parties, the Kapoor sisters make sure to have each other’s back. Khushi has turned 18 today and her elder sister Janhvi shared a throwback video of her cute little sister. Sharing the video on her Instagram handle, Janhvi captioned the video as, “Just an example of how most of my childhood consisted of being bullied by you…. I still love u though, more than you’ll ever be able to imagine. #hbd.” Both look so cute and adorable in the pigtails. Have a look at the video. Here are some other pictures of Janhvi and Khushi. We wish we get to see more such childhood videos of Janhvi and Khushi. We also wish Khushi a very happy birthday!